Sick of pumpkin talk yet? If so, you have a long time still before peppermint starts to show its face. Annoyed or not, did you know that pumpkin comes with a lot of health benefits? And no, those pumpkin spice lattes don’t really count as eating pumpkin for some healthy pumpkin for your body. Eating pumpkin is good for the heart. Pumpkin is a great source of fiber, potassium, and vitamin C.
Pumpkin is great for dogs too (and they love it). You know how we like to roll, we like to take something healthy and make it a bit more fun while throwing in a dash of protein. 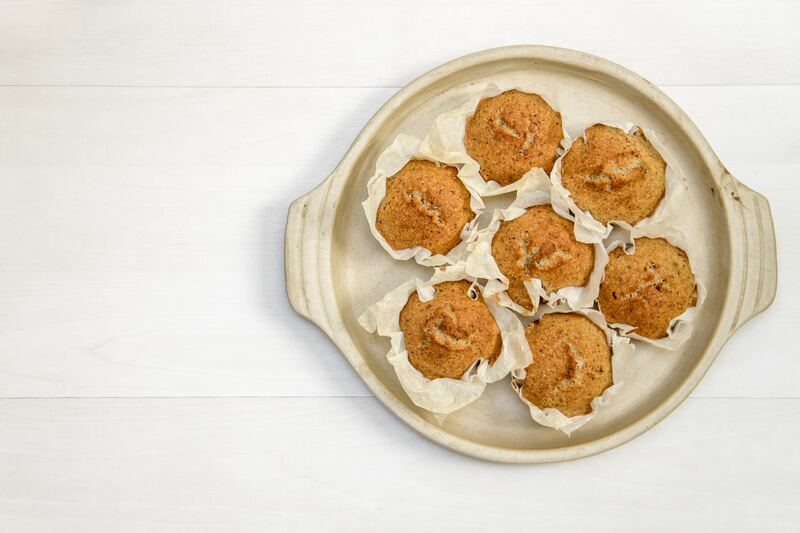 With a mini ice cream scoop, scoop batter into muffin tins. Fill almost to the top. These mini muffins make for a great pre-workout snack!